Soothing and caffeine free, with a subtle taste and aroma that is apple-like and toasty, Egyptian chamomile is an eternally pleasant infusion. These golden buds are harvested just for you from January to April. Number of pyramids in Egypt. Trust us. For best flavor, bring spring or freshly drawn filtered water to a boil (212 degrees). Steep five minutes while sitting like the Sphinx to drink. 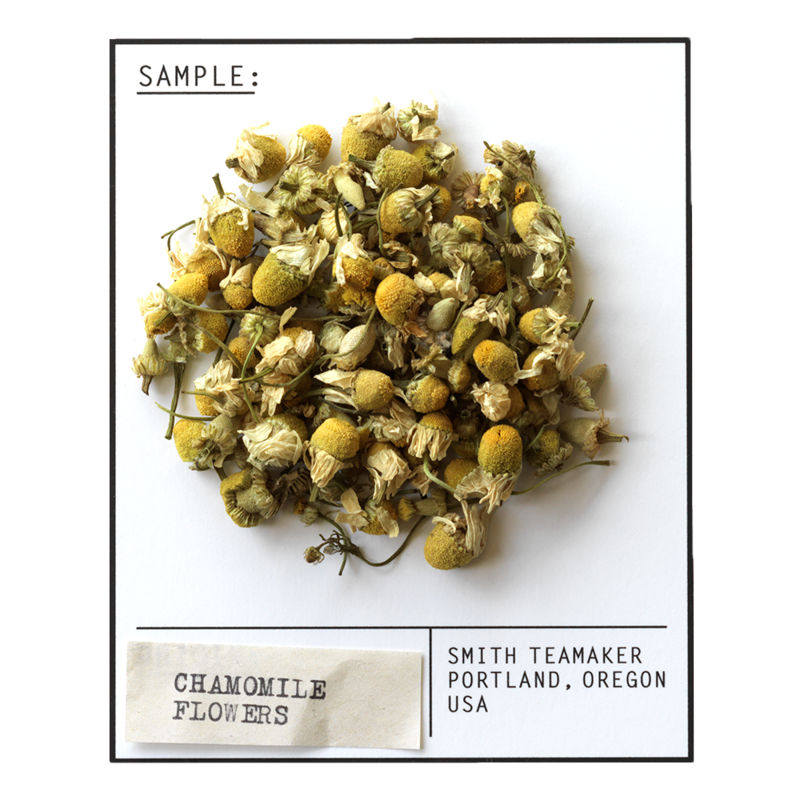 With a soothing characteristic and a subtle taste and aroma that is apple-like and toasty, chamomile is one of the most popular herbal ingredients on the market. Introduced to Egypt from Europe a half century ago, chamomile brings the joy of festive harvest to the oasis of Faiyum. Sourced from Central Egypt, the Nile provides ample water and fertile soil for the world’s finest tasting blossoms. Harvest season for these golden buds is January to April.